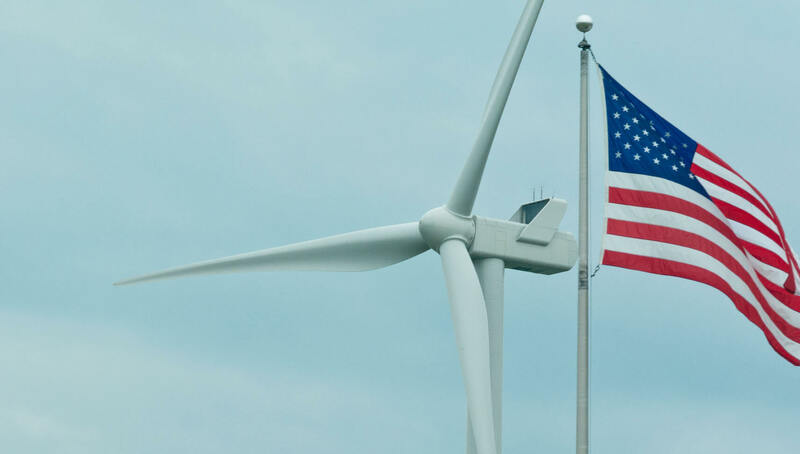 Offshore wind in the U.S. got a nice boost in June when the U.S. government announced that 81,130 acres off the coast of New York will be opened to leasing for offshore wind power projects. Commercial offshore wind providers will have an opportunity to bid for leases they will need to develop wind farms in an area 11 miles south of Long Island. Although the U.S. does not have a single offshore wind farm up and running right now, the first project is expected to be operational by the end of 2016 and many more are on the way. The U.S. Bureau of Ocean Energy Management has already awarded 11 commercial offshore wind leases worth $16 million and covering more than a million acres of U.S. waters, according to the BOEM website. Nine of those leases have been sold through competitive bidding: Two each in New Jersey, Massachusetts and Maryland; two for an area between Rhode Island and Massachusetts; and one for Virginia. A pair of six-megawatt wind turbines is proposed off the coast of Virginia. The BOEM has awarded a research lease for the project and approved a research action plan in March. An offshore wind project planned for Maryland could install as many as 125 turbines. It’ll still be a couple more years before construction starts, and two more years after that to complete the project. A more preliminary project is slated for the coast of New Jersey. That project is only in the opening stages. U.S. Wind, headquartered in Boston, is developing the New Jersey and Maryland projects. Another New Jersey project is being developed by Fishermen’s Energy, which won a Department of Energy grant to start a demonstration project near Atlantic City. DONG Energy, a Danish company that has done large projects in Europe, acquired the rights last year to develop a wind farm about 25 miles off the shore of Martha’s Vineyard. The bottom line is that offshore wind will at least have demonstration projects up and running by the end of this decade to establish what works and what doesn’t. The slow pace of adoption in the United States may frustrate advocates of renewable energy, but it’s important to remember that there was a time not so long ago when there were no wind farms in Europe. If oil prices jump and the political climate changes in ways that make offshore wind more attractive, we could see a lot more wind-power projects popping up off American shores. After all, the technology is mature, thanks to the experience gained building Europe’s wind-power systems. A lot could change very quickly if all the right factors come together at the same time.